Ruth Emma Feigel, age 88, passed away July 23, 2018 at Valley View Home in Glasgow, Montana. Ruth was born on July 15th, 1930 in Santa Barbara, California to Robert and Beulah (Bright) Feigel. Ruth Completed the 8th grade in Saco, Montana. Her Comment on her education “I learned everything I ever needed to know”. Ruth’s parents farmed south of Saco and moved into town for the school term. They sold garden produce and grain. As a young girl, Ruth sang on the radio, traveling from Saco to Wolf Point for a 15-minute set. She was known as “Little Ruthie” singing with her father who was known as the singing farmer. Ruth also had polio as a young girl. The Feigel’s moved to Saco permanently in 1952. Ruth was often seen around town pruning trees or pulling “that darn creeping Jennie.” Every Mother’s Day Ruth would play the piano and play the song “Mother” in tribute to mom’s everywhere. She was active in and faithfully attended Saco Methodist Church, Women’s Club, Royal Neighbors, The Rebekah’s and the Garden Club. Ruth was also known for keeping lists of everything from trapping mice to greetings cards. She moved to Valley View in 2004, due to health issues. She had one half-brother Elmer, who owned Feigel Photos. He preceded her in death. Ruth is survived by nieces, nephews and many friends in Saco. 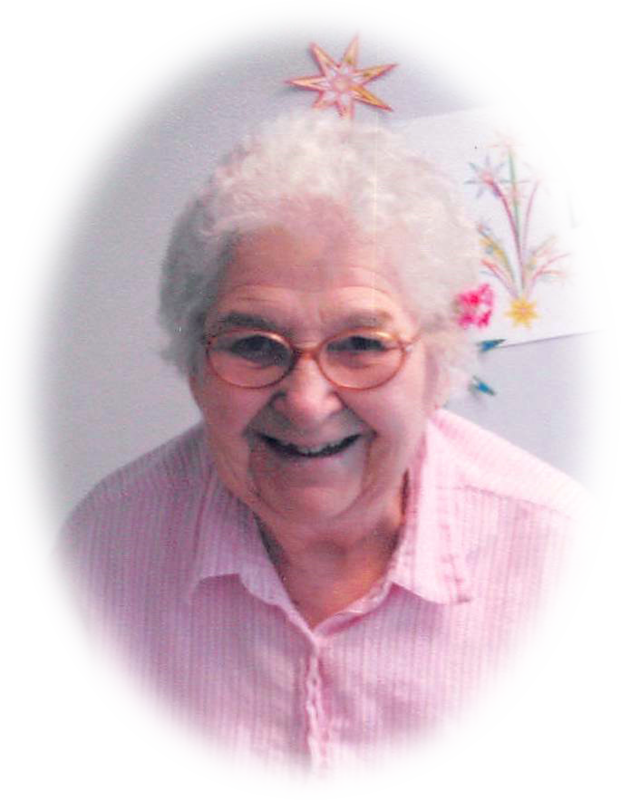 Funeral services will be held for Ruth at 11:00 a.m. on Monday, July 30, 2018 at the Saco Methodist Church. Burial will follow in Grandview Cemetery.